On command chest pass 1 to 2, till the middle. 3 dribbles between the pylons zig -zag. When 1 & 2 reach the middle. 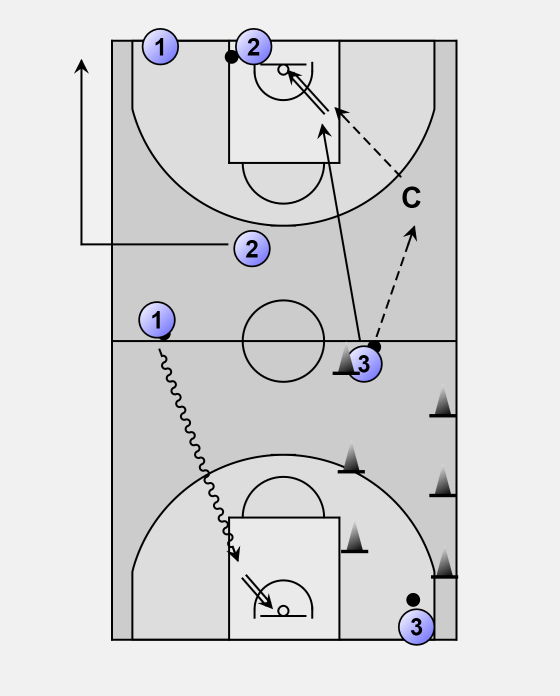 1 goes for a speed lay-up and get back on the side-line. 3 gives a pass to a fixed pass giver (coach), and gets the ball back to make a lay-up without a dribble.